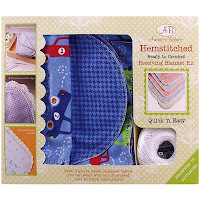 Weekend Kits Blog: Hemstitched Baby Blanket Kits - Ready to Crochet! Hemstitched Baby Blanket Kits - Ready to Crochet! 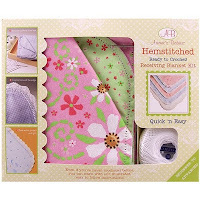 Hemstitched Receiving Blanket Kits from Ammee's Babies make it easy to crochet a beautiful decorative edge along the border of baby's blanket. You'll find our newest selection of these creative baby blanket kits in the Crochet Kits section of the store! 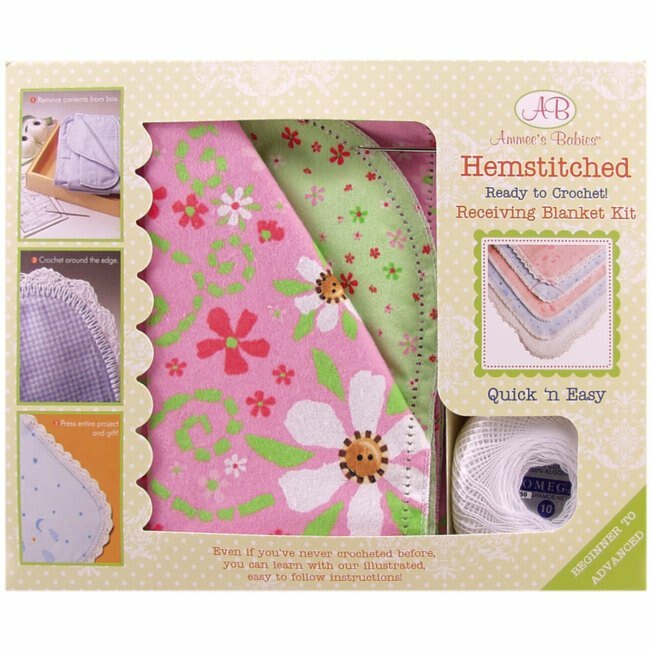 The Flower Power Hemstitched Baby Blanket Kit includes everything you need to crochet a keepsake receiving blanket & burp cloth set to give as a special handmade gift for a new baby girl. Kit includes one cotton receiving blanket, one cotton burp cloth, a spool of cotton crochet thread, and easy-to-follow instructions. The double-sided blanket & cloth are made of mid-weight 100% cotton flannel for extra softness and durability. It's OK if you're new to crochet. This kit includes easy 'How To' hemstitch instructions for beginners who have never crocheted before. 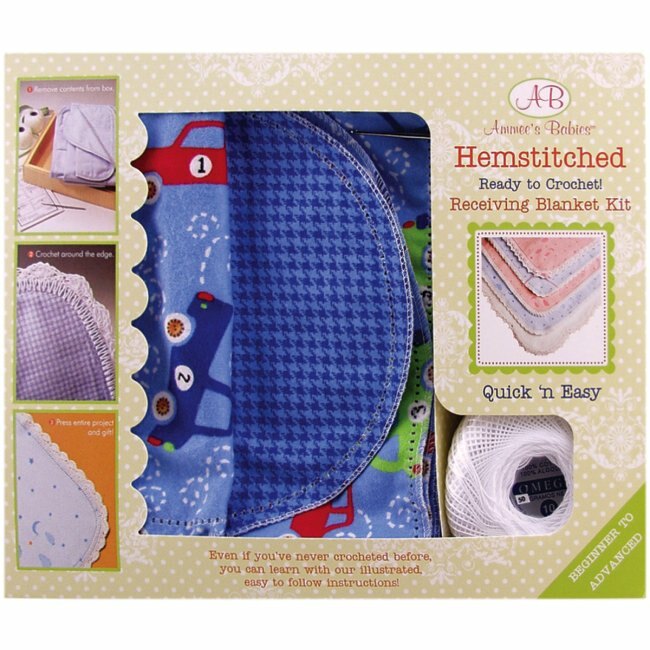 The Hot Cars Hemstitched Baby Blanket Kit is the perfect choice for a new baby boy. The edges of the fabric are pre-hemstitched with small perforated holes all along the border. Over-lock stitching helps prevent raveling at the fabric edge. Beginners will learn how to crochet a hemstitch edging all along the border. Experienced crocheters will enjoy the convenience of a quick & easy crochet project. It's easy enough to go out and buy a pre-made blanket for baby, but I think you'll find that there's nothing more satisfying than seeing baby cuddled up in a warm blanket handmade by you! Visit the Crochet Kits section to see our complete selection of learn to crochet kits for beginners. Learning to create handmade items has never been easier. Explore a fun variety of crafting kits at Weekend Kits and be ready to learn a new craft on your next Weekend at Home!